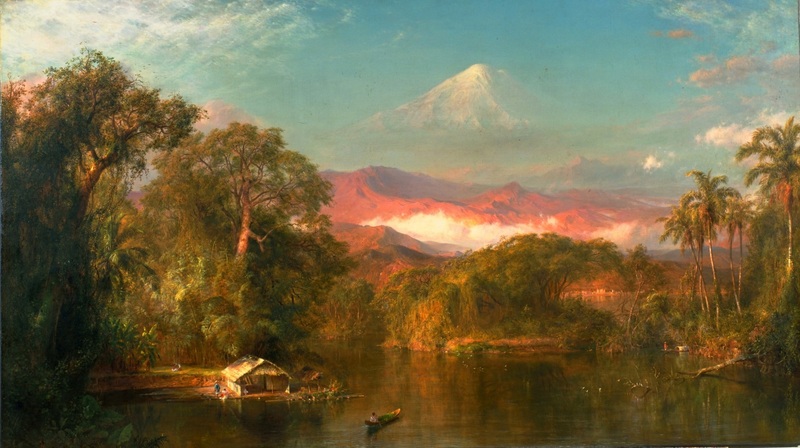 Frederic Edwin Church – Huntington Library and Art Gallery 89.1. Title: Chimborazo. Date: 1864. Materials: oil on canvas. Dimensions: 121.9 x 213.4 cm. Nr. : 89.1. Source: https://upload.wikimedia.org/wikipedia/commons/thumb/1/1c/Frederic_Church_Chimborazo.jpg/1280px-Frederic_Church_Chimborazo.jpg. I have changed the contrast of the original photo.